As I noted earlier during the announcement, I personally think the Apple watch is too expensive. It's going to start at $350 and that's a play on words. Sure, there will be $350 version that comes to market, but that is only to get consumers in the door. Sort of how car dealers use a base model price to get you in the door, but only have upscale versions on the lot. So when you sit in a demo model, then ask about the bargain price you saw on TV, you're told how this or that feature you just saw in the demo model isn't available for the price you saw. First off there are three tiers of watches that come in two different screen sizes (38mm and 42mm). The lowest is the Apple Watch Sport which comes with an aluminum case, a rubber wrist band, composite back, and glass screen. The next level up is the Apple Watch and that has a stainless case, leather or metal band, ceramic back and a sapphire crystal face. Finally the top tier is the Apple Watch Edition, which has an 18k (rose or yellow) gold case, metal or leather band and the same sapphire crystal face and ceramic back. Now factor in that there are two different sizes and you now have 6 versions of the Apple Watch. But wait, we're not done yet. Apple Watch Sport has multi color rubber bands, the Apple Watch and Watch Edition come in multiple leather and metal bands and you can see where I'm going with this. Not only do you have a choice of metal or leather band, but there are two different metal bands and two different leather bands. 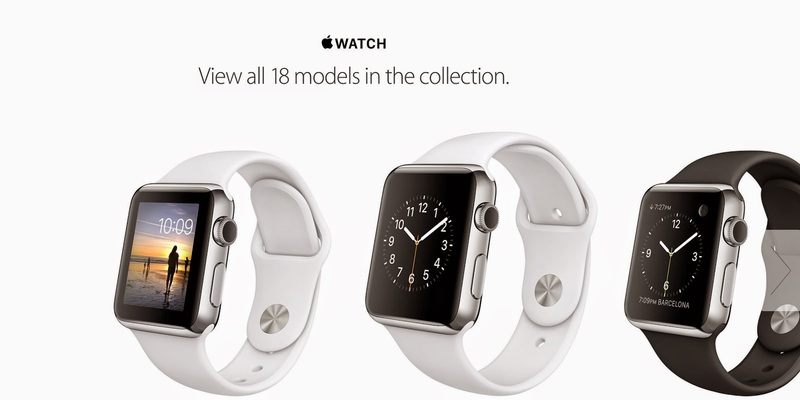 So as you can see, Apple has a clear, "let's get you in the door" type market strategy with the Apple Watch. For $350 you'll probably find an Apple Watch Sport with a yellow band, but you'll eventually walk out the door with the Apple Watch Edition spending a lot more than $350. My guess is that the Apple Watch will range from $350 to $500 for base prices, then vary from there for screen sizes and bands. Ugh, Apple's Watch is making my brain hurt and the only innovative thing they really announced was NFC on a watch.